Have you ever woken up knowing it’s not going to be a good day? Yeah, that was me this morning, even before I stepped in a pile of cat barf as I came downstairs. It doesn’t happen to me often - the knowing part, not the bad day thing. I get more than my fair share of bad days, but I don’t always know right off that’s the way the wind is going to blow. I may have mentioned once or twice (or a couple of dozen times by now) that the writing hasn’t been going so good lately. While once again I got all my blog posts done last week, once again that was pretty much it. And it’s not like I didn’t have the time to write. There were a couple of nice chunks of time through the week, but I sat in front of the blank screen of my lap top and nothing. I’d pick up a pen and pad of paper and nothing. The strange part was I had no problem writing lengthy journal entries or poetry. It was only when I tried to write fiction that the connection between my brain and my fingers seemed broken. So Saturday I sat in my office, but instead of writing I ended up doing a great deal of reading online, mostly blogs of other writers who are going through a similar ordeal. And man, are there ever a lot of us out there. And while no one seemed to offer any solutions, we all seemed to have one thing in common - persistence. We may think about giving up, we may even talk about it, but no matter how bad things are going there’s just something inside us that refuses to quit. 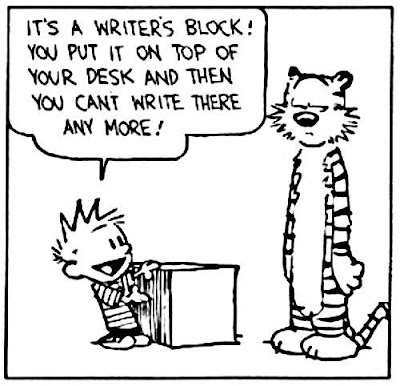 True writers are nothing if not persistent. With that in mind, Sunday morning I changed my routine slightly. I did not, as I usually do, watch Criminal Minds on A&E as I had my breakfast. They run six episodes back to back and it’s kind of like potato chips for me - I can’t stop with just one episode. So no distracting TV for a change. However, instead of buckling down to write my morning was spent on several mundane tasks that could have been put off - sewing a missing button on a shirt, doing some hand wash laundry... It wasn’t until after lunch that I was filled with an urge I hadn’t felt in far too long. 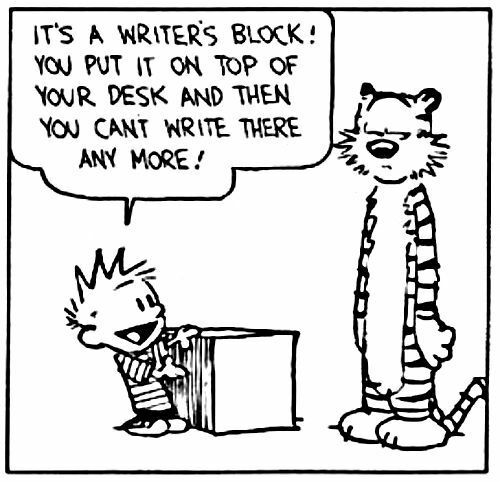 The urge to work on my current novel. Never mind the fact that I still had two blog posts to write, two quiches to make for a family dinner (one vegetarian, one traditional), and a house to clean, I wanted to write fiction. So I did. I got a few hundred words in before I had to stop and get the quiches made, which took longer than expected, and the cleaning done. Sometimes, the best way to do a thing is to just do it. A little step perhaps, but a step in the right direction. So tell me, what do you do to get out of your writing funk?